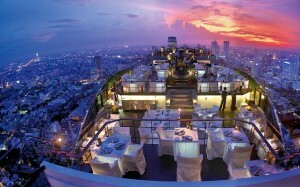 Enjoy an experience of being aboard a spaceship in the sky on the 61st floor of the Banyan Tree Hotel. With a bizarre narrow and elongated shape, the top of the building is occupied by the Moon Bar and complemented by the Vertigo restaurant. 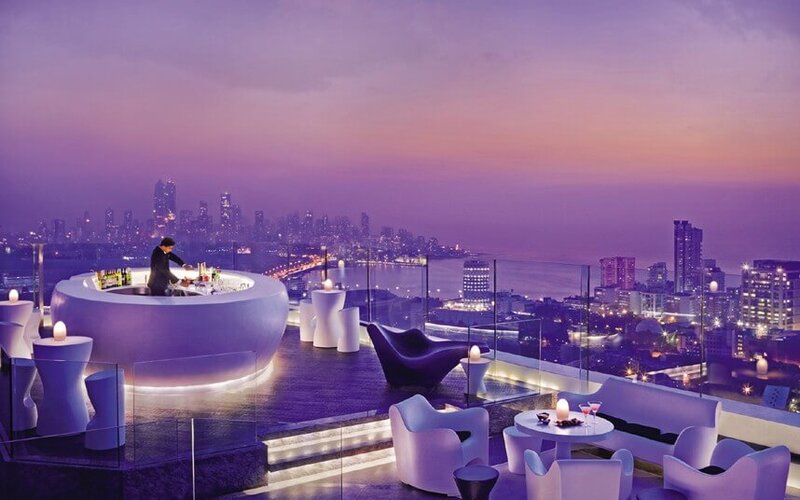 The prices at the bar may be a bit high, but nothing beats the 360 degree view while gulping down oodles of fun. 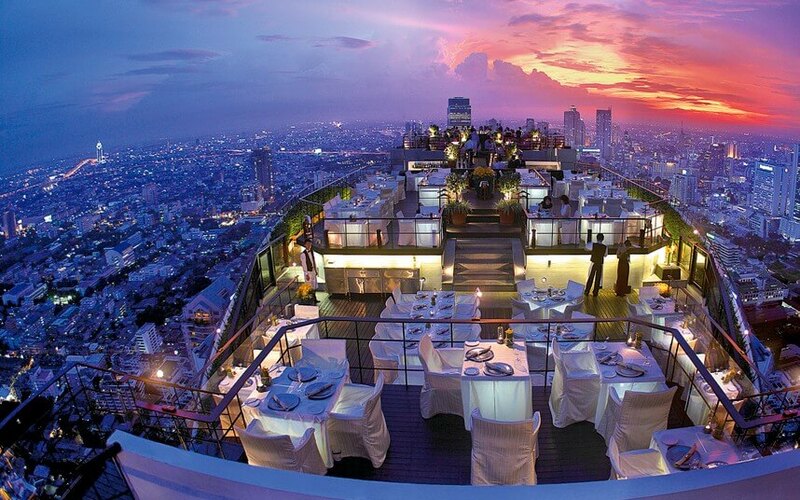 The Octave Rooftop and Lounge is merely a place for watching the sun go down or having a romantic meal. Infact, it is the highest spot in the city for a party. With a circular bar, and the staff mix cocktails Tom Cruise style, its electro beats range from Oasis to Green Day mash ups and current chart toppers. The skyscraper-heavy view is not a letdown with the colourful lights of Baiyoke Tower twinkling in the distance. With a great selection of wines, beers and cocktails, The Long Table is a great way to start an evening. Their signature feature is the home of Thailand’s longest table that is able to seat around 70 people. Even on a weeknight the outdoor terrace is abuzz with people who have come to make the most of the famous Bangkok sunsets and their most famous cocktail called the Bangkok Cosmopolitan. So opt for a Bangkok tour packages to get a birds-eye view of this beautiful city and experience all its charms yourself.